Easy Ways to Beat Colds and Flus, Fast Feeling Flu-y? Feeling run down with a sore throat, runny nose, pounding head, cough, or fever? Don’t suffer in silence waiting for your cold to run its course. Instead, try these easy, natural ways to help you kick that lurgy and feel better, fast. Your (Natural) Medicine Cabinet Did you know that natural medicines do double duty when fighting an infection? Not only do they help you feel better quicker by reducing your symptoms, they can also boost your immunity and reduce your chances of getting sick in the future. Andrographis – a potent herb that can help reduce the symptoms of colds and flu by stimulating your body’s own immune function; improving your runny nose, cough, fever, headache and fatigue. Medicinal mushrooms – coriolus, reishi and shiitake can help reduce congestion and mucus, helping you breathe easier. Probiotics – did you know that there are specific probiotic strains able to help you fight off a cold? The probiotics Lactobacillus rhamnosus (LGG®), Lactobacillus plantarum HEAL 9 and Lactobacillus paracasei 8700:2 have been shown in multiple scientific studies to help reduce the symptoms and duration of the common cold. Zinc – reduces both the duration of infections and the severity of symptoms, helping you get back to your normal activities sooner. Having adequate zinc levels also decreases the likelihood of you getting sick in the future; meaning fewer sick days needed annually. 1. Ease nasal congestion – use a nasal spray containing antimicrobial essential oils (ask your Practitioner for a recommendation). Also, try a steam inhalation or take a steamy hot bath or shower, so you can breathe easier and be more comfortable. 2. Gargle with warm water regularly – this can help ease a sore throat. Add a teaspoon of salt for added antiseptic and gentle anti-inflammatory benefits. 3. Drink plenty of fluids – dehydration can occur if you do not replenish fluids lost through sweating, having a runny nose, or having a fever. Being dehydrated can make you feel sicker than you need to. Choose water rather than sugary drinks which can increase inflammation. 4. Eat regular meals – to keep your energy levels up. Try nourishing, cooked and vegetable-rich foods like soups and stews (they also help keep you hydrated). If you don’t feel like eating, a simple chicken broth can help provide the electrolytes and minerals (such as magnesium, calcium and phosphorus) your body needs to function well. 5. Use ‘food as medicine’ principles – chicken soup can also help reduce mucus congestion, especially if you add warming and pungent herbs and spices such as cayenne, ginger and turmeric. Add plenty of garlic too as it’s considered ‘natures antibiotic‘, helping reduce the chance of developing a secondary bacterial infection that can follow a viral cold or flu. 6. ‘Eat a rainbow’ – include lots of colourful fruits and veggies where you can, to give your immune system the antioxidants and vitamins (such as vitamin C) it needs to support healthy immune function and keep you fighting the infection. 7. Take time off – don’t feel guilty about staying home from work. Convalescing will give your body and immune system the chance to recoup its energy – getting you back to work quicker and fighting fit again. Your colleagues will also thank you for keeping your germs at home! We’ve saved the best tip for last. See Your Practitioner… For a personalised immune-boosting treatment plan. As everybody is different, your Practitioner can tailor an effective strategy for your situation. Maybe you also have a history of catching every cold and flu there is – so ask them how you can also address the factors that may be weakening your immunity, such as a nutrient deficiency, stress or lack of sleep. Rather than wait for your cold or flu to run its course, be more immune savvy this time around. Support yourself with these natural tips and tricks, and get back to enjoying all the activities you love. LGG® is a registered trademark of Chr. Hansen A/S. Talk to your Practitioner about easy ways to naturally beat colds and flus today. 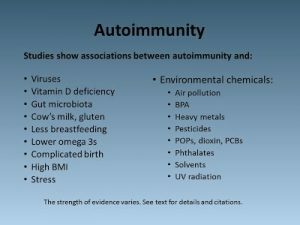 Auto-Immune Disease – let’s get well!! have kinesiology sessions to support better immunity – and find old infections! boost your gut immunity and heal your gut! start the process. help infections out of your body, boost your immunity. huge!!! see us for kinesiology, massage, universal consciousness and supplements specific for stress! You are currently browsing the New Leaf Blog blog archives for August, 2018.